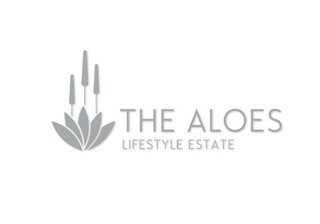 Sign-up and receive Property Email Alerts of Residential Estates in The Aloes Lifestyle Estate, Polokwane. Located on the fringe of the eastern suburbs of Polokwane, The Aloes Lifestyle Estate is a convenient and modern setting within bushveld savannah. Set on ninety hectares, it's the first multi-faceted security estate of its kind in Polokwane. Children will be able to safely ride their bikes to friends' houses, whilst parents take a stroll to visit grandparents. Residents will enjoy their own control point within different sectors, even after passing through the main access point at the entrance. This is indicative of a commitment to unsurpassed levels of security, privacy and peace of mind. Whether it's your first home purchase as a young family, building your dream mansion, down scaling or looking for the safety of assisted living, The Aloes has it all. Parents can rest assured that a perimeter wall & electric fence combination will keep their most valuable assets secured. Estate architecture and aesthetics are strictly monitored by a committee that upholds the conservation goals of the estate, whilst still giving investors and owners the flexibility to design their ideal home. This is done for the benefit of all neighbours, as it's a widely documented fact that controlled aesthetics leads to improved capital growth of residential properties (providing a sizable return). Ideally located in close proximity to private medical centres, reputable schools and impressive shopping malls; the estate also offers convenient access to the N1 freeway, Polokwane International Airport and the Mall of the North. Whether you're an existing resident of the area or looking to make a change from the existing stresses of city living, The Aloes is an opportunity worth viewing.